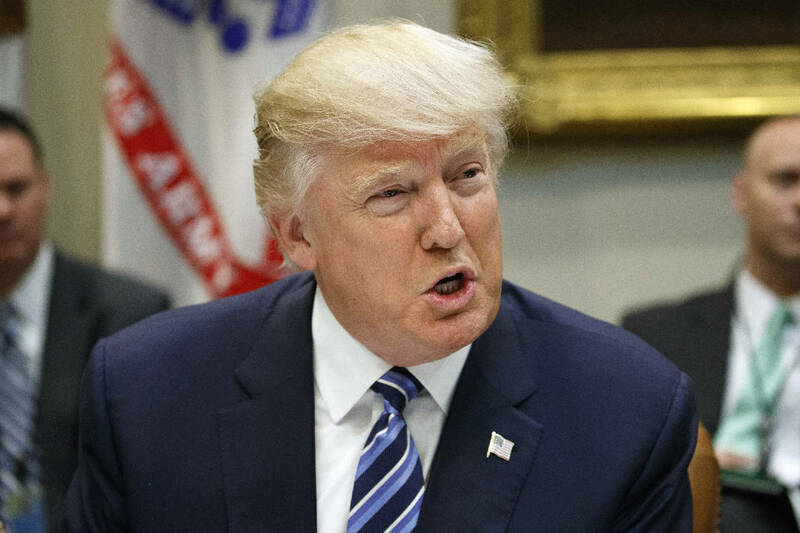 WASHINGTON (AP) - President Donald Trump vowed Thursday to contest a federal appellate court decision refusing to reinstate his ban on travelers from seven Muslim-majority nations, tweeting, "SEE YOU IN COURT, THE SECURITY OF OUR NATION IS AT STAKE!" The White House did not immediately comment on the merits of the unanimous decision issued by the San Francisco-based 9th U.S. Circuit Court of Appeals. The court declined to block a lower-court ruling that suspended the ban and allowed previously barred travelers to enter the U.S.
U.S. District Judge James Robart in Seattle had issued a temporary restraining order halting the ban last week after Washington state and Minnesota sued, leading to the federal government's appeal. The Trump administration has said the seven nations - Iran, Iraq, Libya, Somalia, Sudan, Syria and Yemen - have raised terrorism concerns. The states have argued that the executive order unconstitutionally blocked entry based on religion. The president, in his third week in office, has criticized the judiciary's handling of the case. Last weekend, he labeled Robart a "so-called judge" and referred to the ruling as "ridiculous." Earlier this week he accused the appellate court considering his executive order of being "so political."